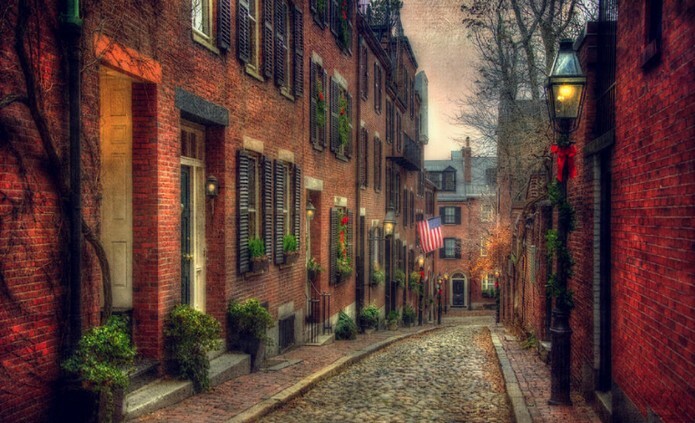 Nestled in Boston’s beautiful Beacon Hill neighborhood, Acorn Street is a charming cobblestone alley pegged as the most photographed street in the USA. 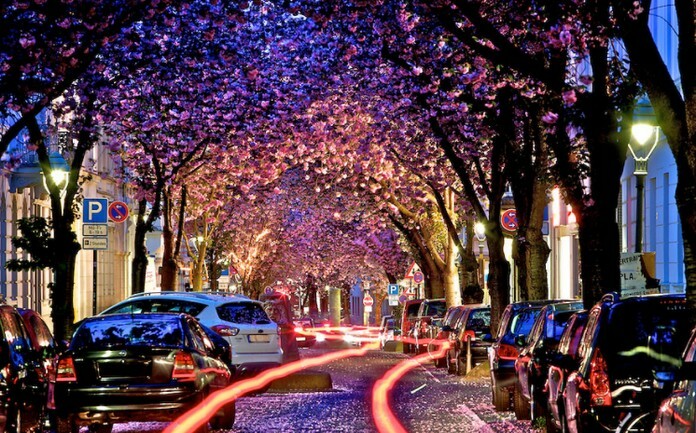 For 11 months of the year, Bonn’s Heerstraße is a regular —albeit attractive — thoroughfare running through the city’s arty Altstadt neighborhood, but during April, the Heerstraße is transformed by beautiful, flowering cherry blossoms that form a dreamy pink canopy over the street. 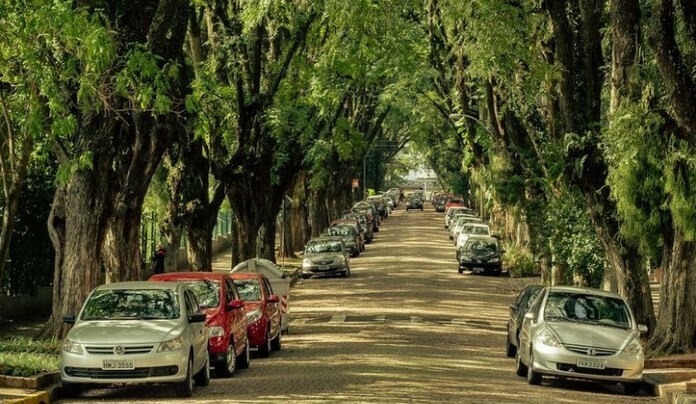 In the heart of Porto Alegre, a bustling city of 1.5 million and the capital of Brazil’s Rio Grande do Sul province, lies Rua Gonçalo de Carvalho — an avenue often cited as one of the most beautiful streets in the world. Nestled in the foothills of Morocco’s Rif Mountains. 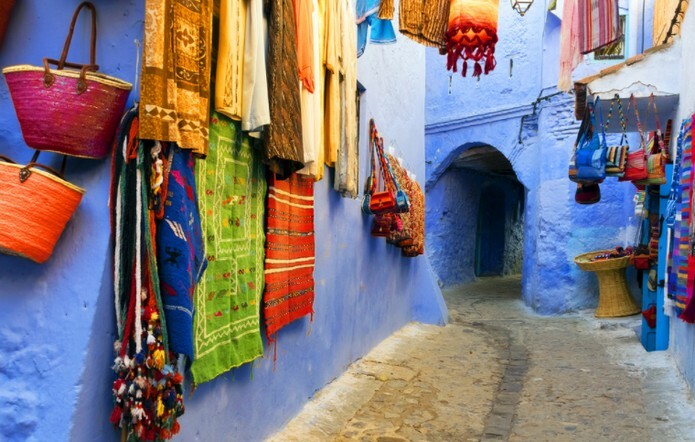 The small city of Chefchaouen is home to a charming old medina whose blue painted houses bathe its narrow streets in an eerily beautiful electric glow. 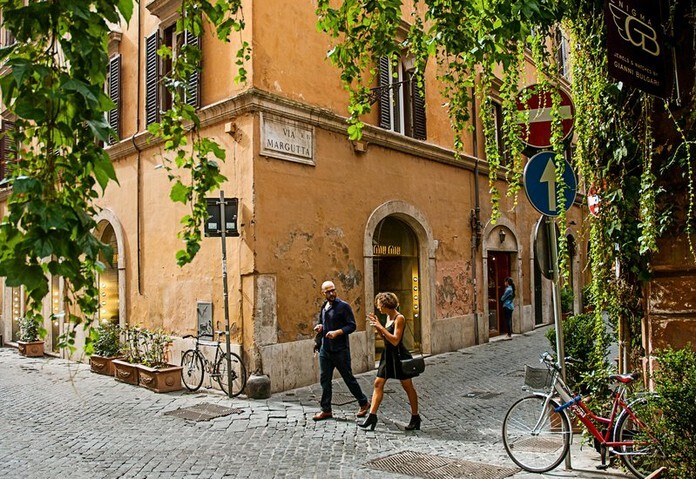 A short, quiet street located between the often tourist-clogged Piazza di Spagna and Piazza del Popolo, film buffs may recognize Rome’s Via Margutta ..as the setting for journalist Joe Bradley’s apartment in the 1953 film Roman Holiday starring Gregory Peck and Audrey Hepburn. 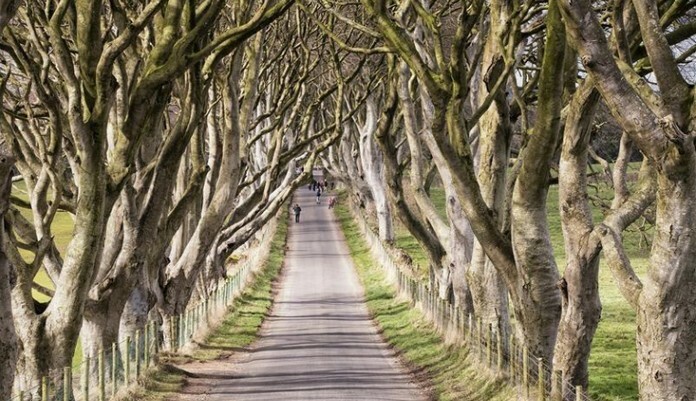 Created in 18th-century Ballymoney by the local Stuart family as a stately approach to their home Gracehill House, The Dark Hedges is a beautiful beech tree-lined avenue and one of Northern Ireland’s most photographed spots. 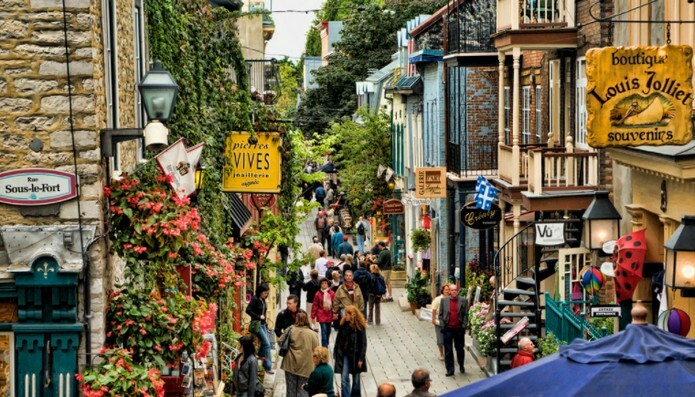 Lined with boutiques and delicatessens selling local specialties, Rue du Petit Champlain is also home to the famous L’Escalier Casse-Cou (‘Breakneck Stairs), the oldest of Quebec City’s many staircases. 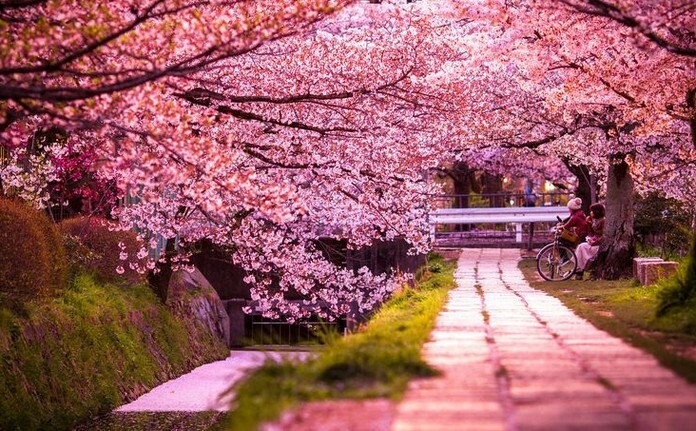 Running approximately two kilometers alongside an old, tree-lined canal, Tetsugaku no michi is one of the prettiest walks in Kyoto. 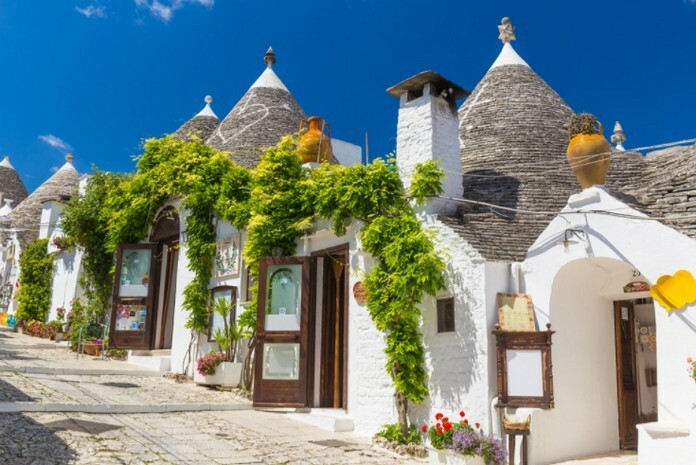 The small town has been made a UNESCO World Heritage site for its unusual districts of trulli, the characteristic white-washed conical-roofed houses of the area. 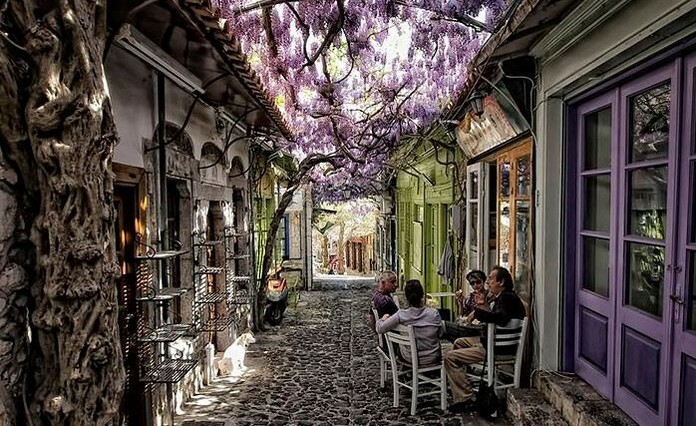 The narrow street in the village of Molyvos, lined with small shop fronts and a ‘roof’ covering formed by nature itself with the overgrowth of trees and flowers.